New Jersey Law Enforcement have a great deal of tools at their disposal to investigate and prosecute individuals for credit card crimes. Between facial recognition software and digital footprints, Burlington County police officers can track down individuals who have used false information to obtain a credit card or used credit card information that belonged to another person. Depending on the type of offense, you could be staring down the barrel of a five (5) year State Prison sentence. If you have been charged with a criminal offense in a town like Moorestown, Evesham, Mount Laurel, Mount Holly, Mansfield, Pemberton, Willingboro, Bordentown or Burlington, the law firm of Proetta & Oliver can help. Our firm has represented thousands of clients throughout New Jersey for offenses ranging from credit card fraud to assault by auto . For an immediate consultation with a Mount Laurel Criminal Defense Lawyer, contact our office today at (609) 850-8284. The initial consultation is always provided free of charge. There are five (5) common types of credit card theft or credit card fraud charges in New Jersey. Below is a brief tutorial on each type of charge and the penalties associated with them. Making False Statements to Procure Issuance of a Credit Card is a fourth degree felony offense in New Jersey. This means that if you are convicted, you are facing up to eighteen (18) months in a New Jersey State Prison and a $10,000 fine. ◊ You knew that the card was forged, expired or revoked. ◊ If convicted, you may be sentenced to a period of incarceration between three (3) and five (5) years as well as a $15,000 fine. This type of fraud may either be a third or fourth degree criminal felony offense in New Jersey. A fourth degree offense carries up to 18 months in prison and a 10,000 fine. Conversely, a third degree offense can result in up to five (50 years in prison and a $15,000 fine. There are multiple types of fraud under this version of Credit Card Fraud. For more information contact our Office by calling (609) 850-8284. ◊ The receiver knew or believed such a fraud had occurred. Fraudulent Use of a Credit Card is a third degree felony offense. If convicted, the defendant is facing between three (3) and five (5) years in a New Jersey State Prison. 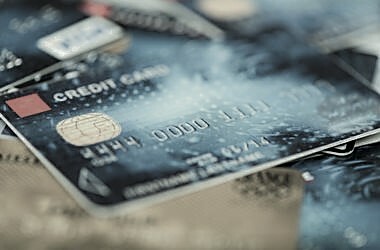 Generally, this type of criminal offense involves individuals who use counterfeit, fictitious, altered, forged, lost, stolen or fraudulently obtained credit card to obtain money, goods, services or anything else of value or individuals who furnish, acquire or use any actual or fictitious credit card. If you or someone in you love are facing criminal charges for Credit Card Fraud or any other theft-related offenses, contact the law firm of Proetta & Oliver today by calling (609) 850-8284. Firm Partner and Former State Prosecutor William C. Fay, IV, will consult with you and help you understand how best to fight your charges. Mr. Fay and the rest of our legal team can be reached 24/7 for your convenience.